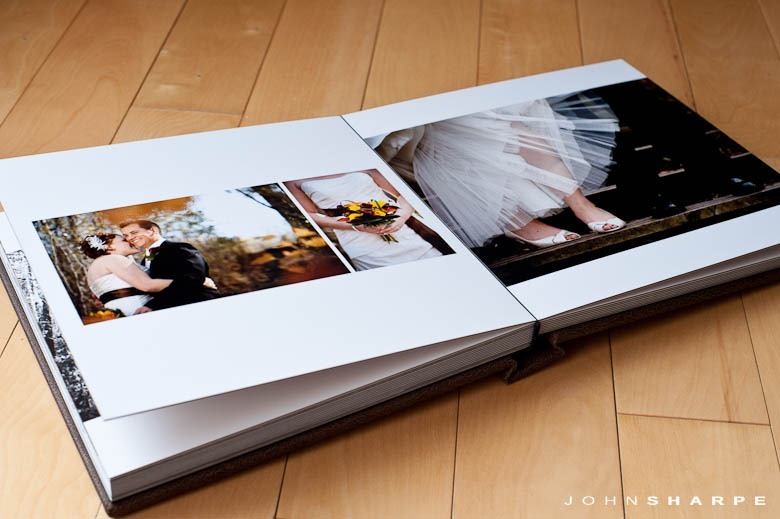 The capstone to my wedding work is the wedding album. 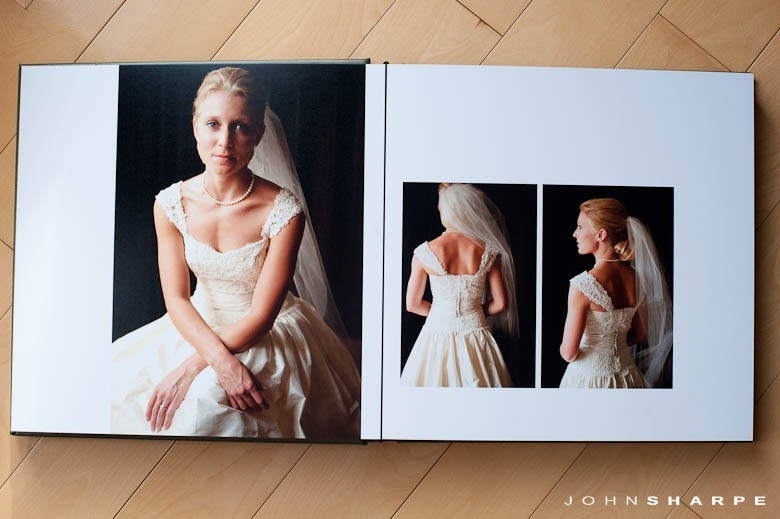 I shoot all my weddings for the wedding album. 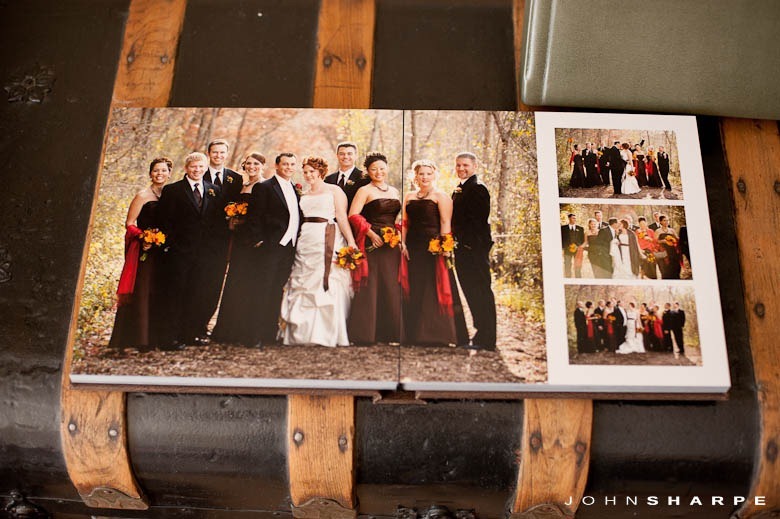 Ultimately, it is my goal to encompass my clients’ wedding story in a gorgeous wedding album. 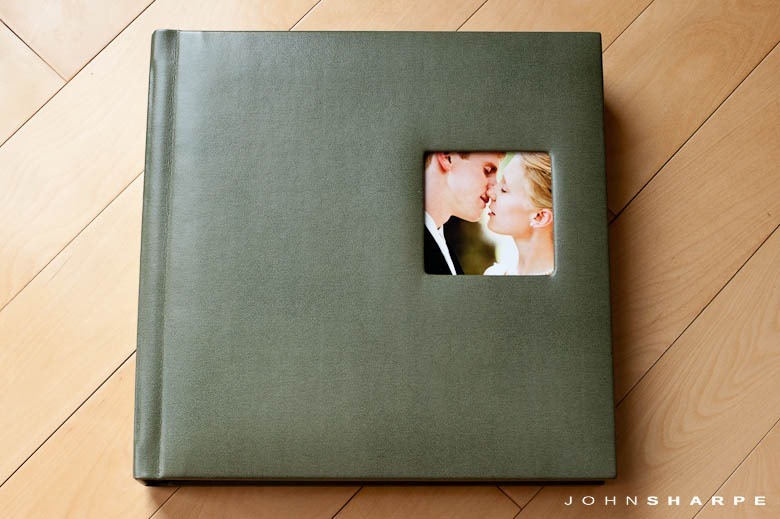 I cannot stress enough the value of a beautiful wedding album. The wedding day comes and goes in a blur as does the wedding cake, flowers, and food. 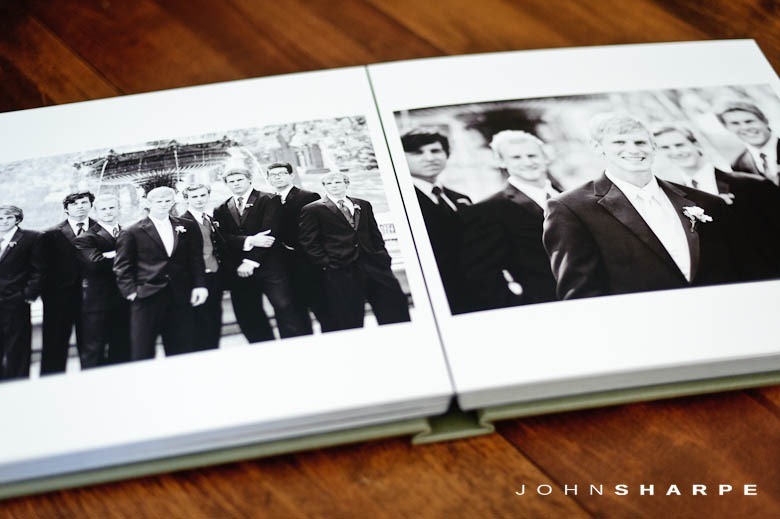 With the exception of your wedding photography, not much evidence remains to showcase your special day. 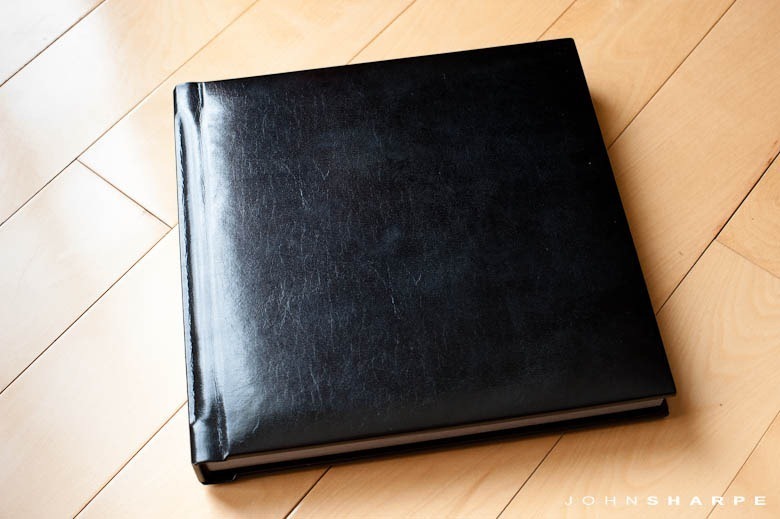 In the digital era, the importance of a physical album might seem less significant or unnecessary. I couldn’t disagree more! 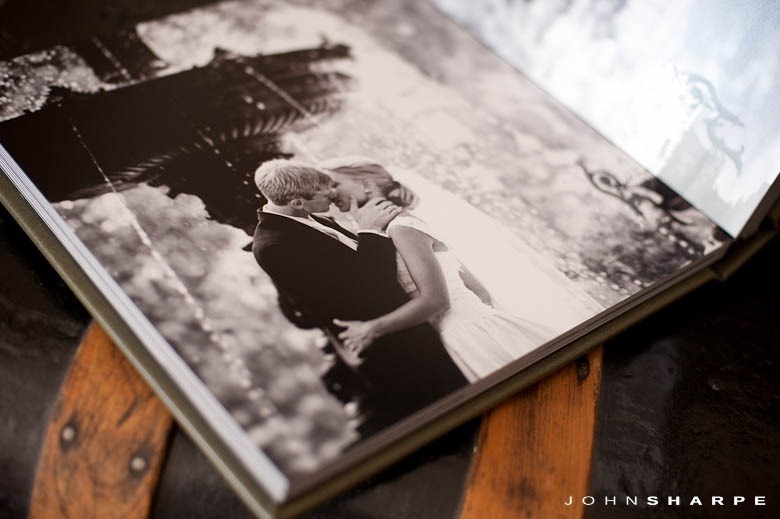 About 80% of my clients choose a wedding album as part of their wedding day coverage. 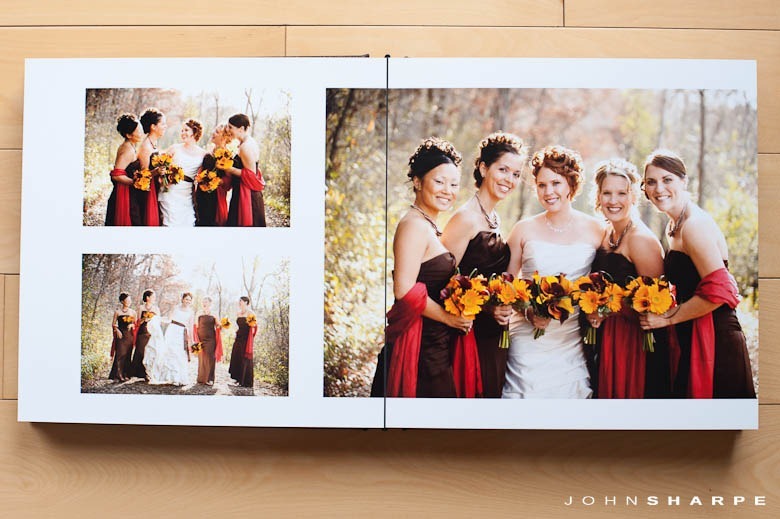 I choose to keep my wedding album designs very clean and simple. 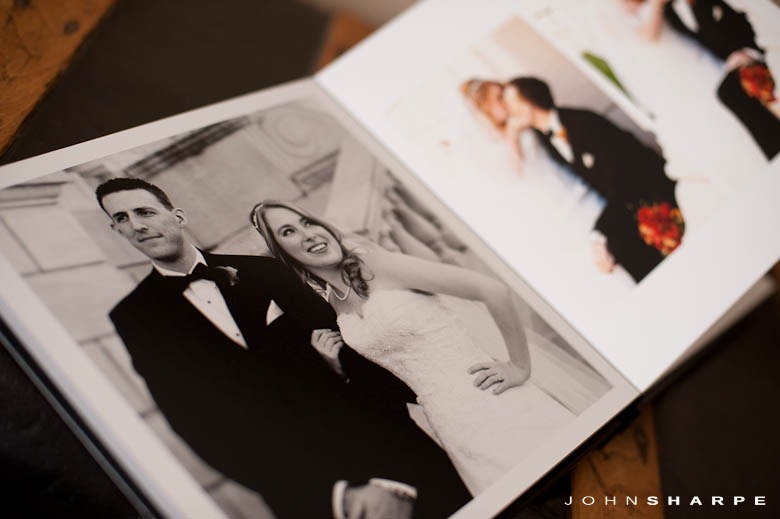 I want the photos speak to my clients for years and years after their wedding day. 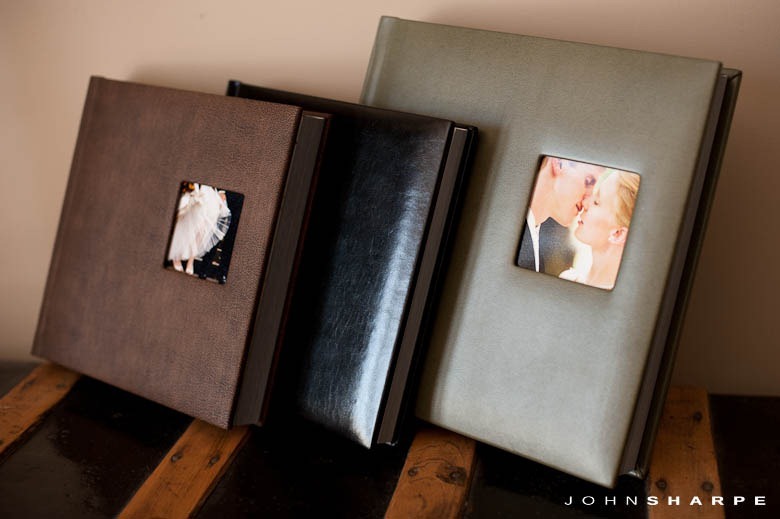 I’m excited to introduce my new line of luxury wedding albums! 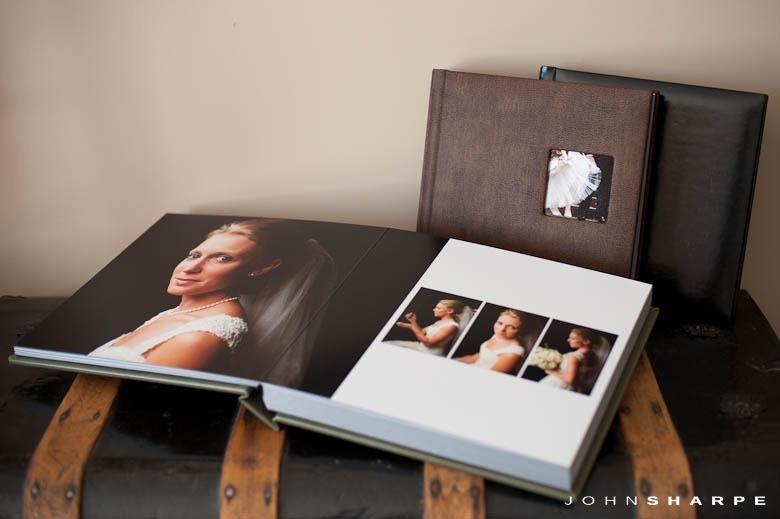 I researched dozens of companies and handled hundreds of wedding albums at tradeshows across the country to find a wedding album suitable for showcasing my clients’ wedding images. 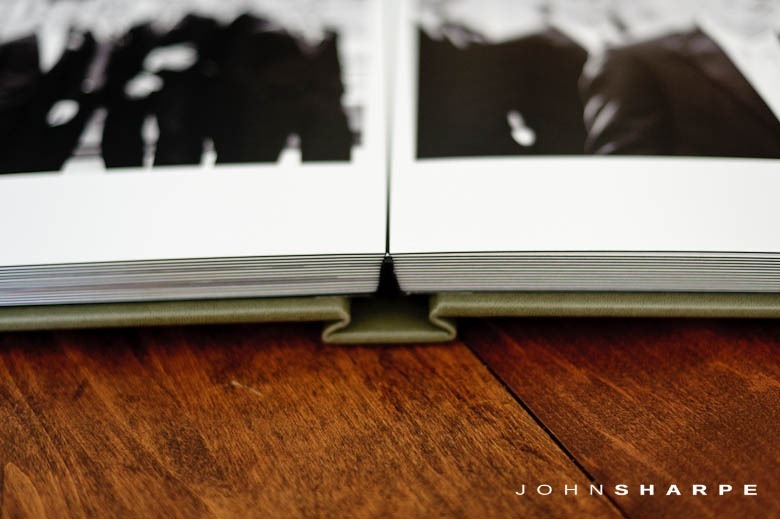 I wanted my albums to make a statement when they are shown to friends and family. The albums needed to be hefty, solid, and scream luxury. I looked for an album that was timeless yet fashionable. 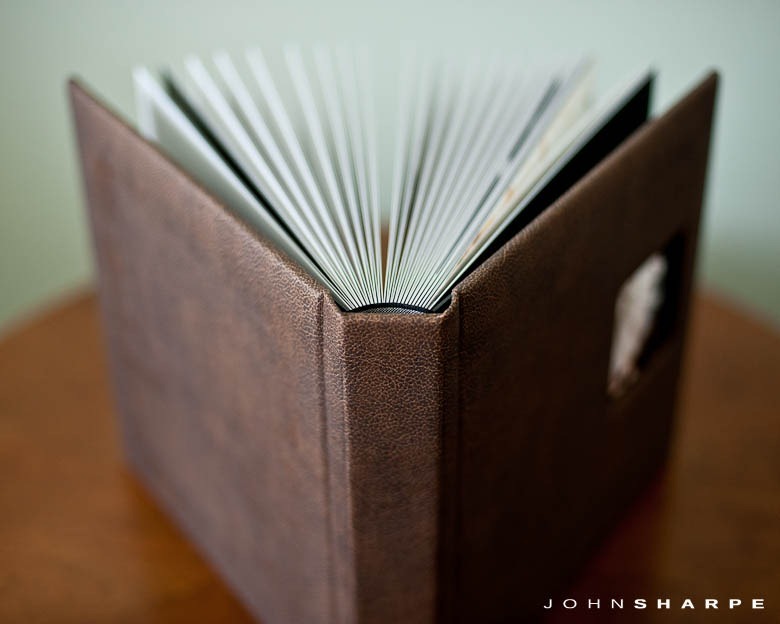 These albums are crafted by hand using only the finest materials (leather, silk, brushed aluminum, and printed leather). There are dozens of color and material options to choose from. 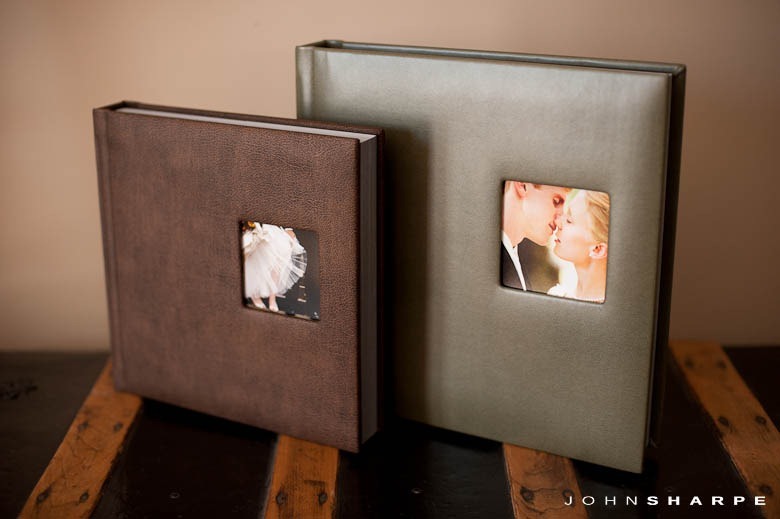 The quality of these albums is immediately apparent and are backed by a lifetime warrantee against manufacturing defects. I just cannot say enough great things about these albums. 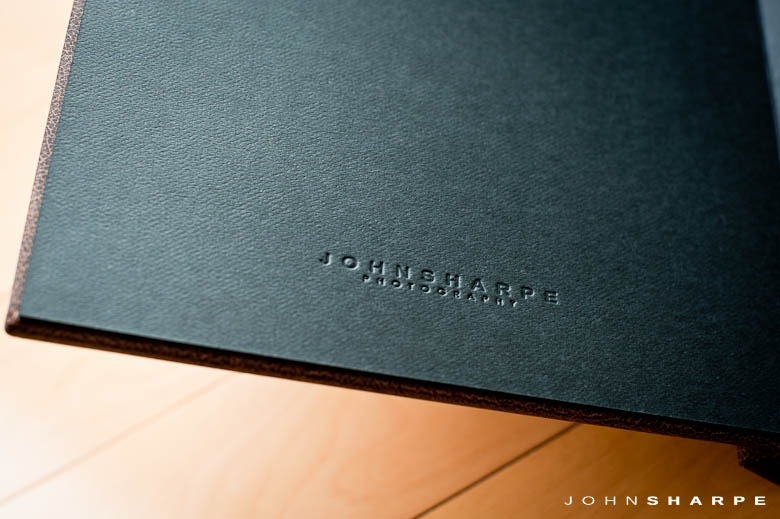 Each album is presented to my clients in a hard leather box. 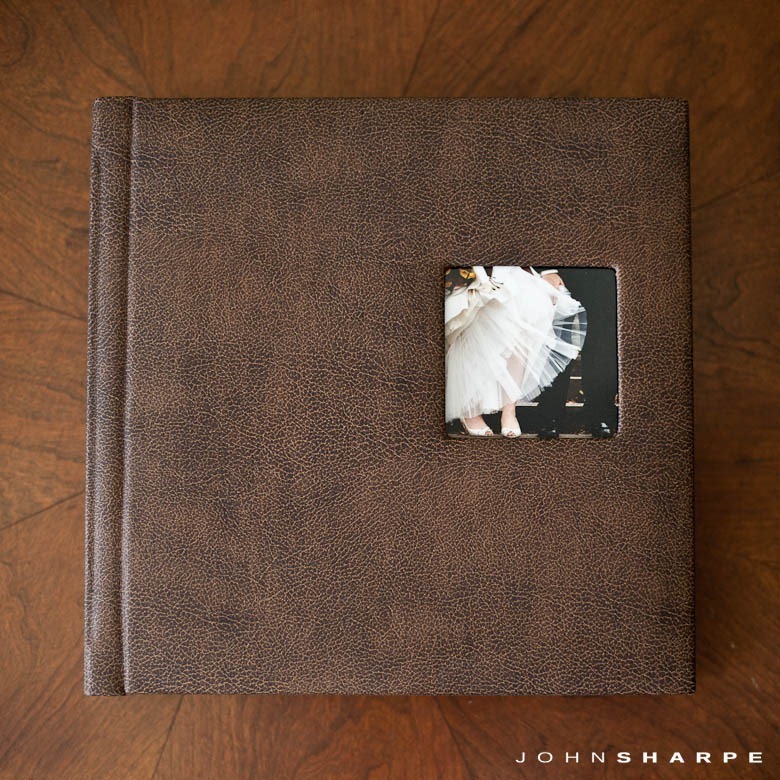 All albums include the John Sharpe Photography stamp of approval Album can be customized to the number of sides needed. 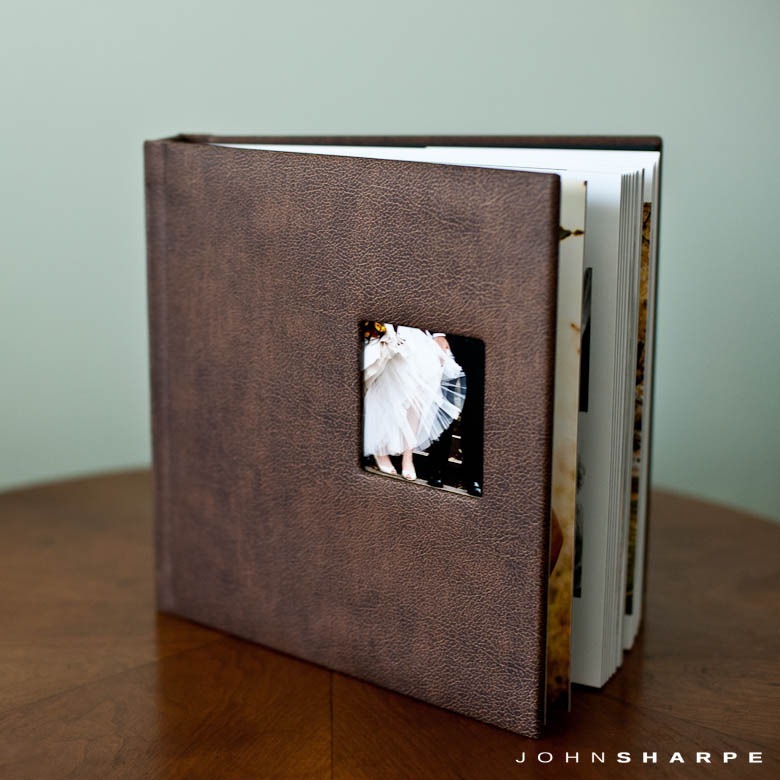 Below (from top to bottom) 24sides, 42sides, 50sides To further customize your album, a photo cutout can be inserted into your cover. 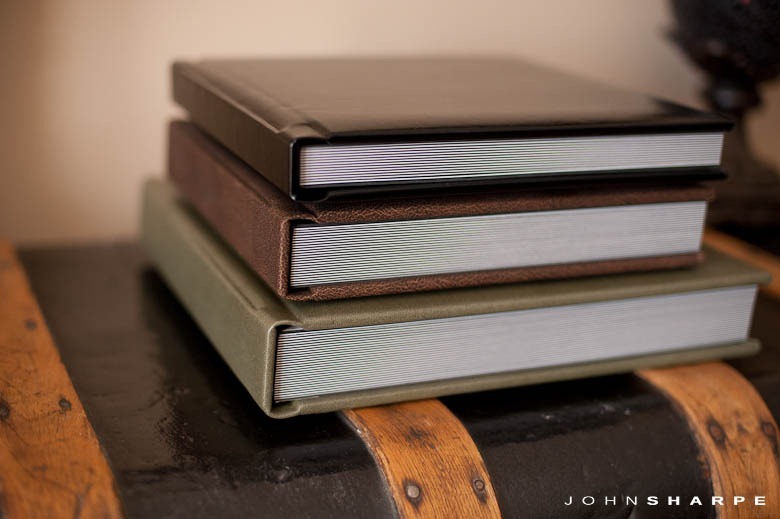 Shown below – 10×10 Album with Distressed Brown Leather Cover The binding on these albums is impeccable and I just LOVE the thick flushmount pages Show below: 10×10 Album – Gloss Black Leather Show below – 12×12 Moss Leather Clean and simple design!! !